Sign up here to have our newsletter delivered straight to your inbox every month! Every month we’ll bring you updates and the latest pension-related news in Wisconsin, delivered straight to your inbox. We’ll keep you up to date and let you know when it’s time to act. 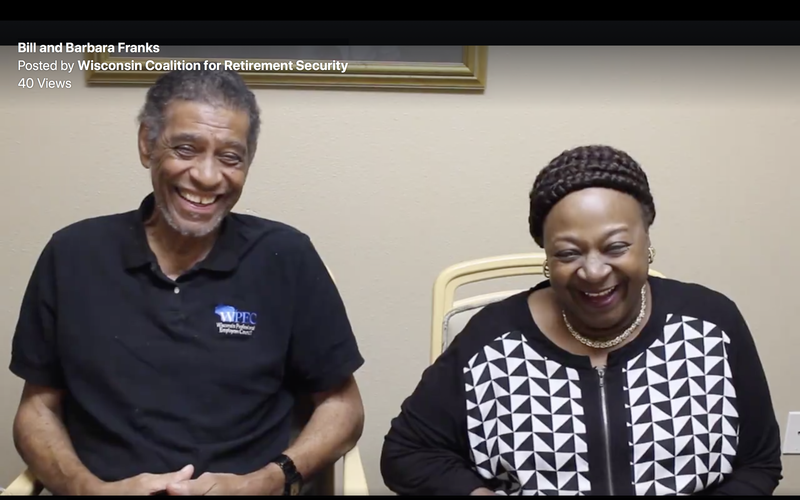 National Retirement Security Week is celebrated each October, and it’s time to shine a spotlight on the retirement insecurity most people in this country face. The Republican Tax Bill is Very Bad News for Public Pensions! Federal Tax Cuts and Jobs Act Legislation Would Negatively Impact the Wisconsin Retirement System. State agencies, including the State of Wisconsin Investment Board (SWIB), are Constitutionally exempt from taxation and the application of Section 5001 to public pension plans erodes the immunity states and the federal government each enjoy from taxation by the other. Investment earnings pay for approximately 75% of WRS pensions for 620,000 current, former and retired Wisconsin state and local government employees. Subjecting the WRS to the UBIT will result in a drag on these critically important investment returns, and sets a dangerous precedent for taxation of state entities, and will ultimately increase costs to taxpayers. The provision is not expected to generate significant federal tax revenue; instead, it would create significant compliance and administrative costs for public pensions to determine which investments may generate UBIT, as well as hire accounting and legal professionals to comply with the tax reporting obligations. The provision taxes UBIT on existing investments, as well as future investments, which would negatively impact many existing investments that cannot be restructured prior to this effective date. The WRS is the 9th largest public pension plan in the United States and the 24th largest public or private pension plan in the world. SWIB currently has more than $100 billion under management. The WRS is also one of the strongest statewide public retirement plans that is fully funded. Let’s keep it that way. Call Sen. Ron Johnson at (202) 224-5323 and Rep. Paul Ryan at (202) 225-3031 to tell them to vote NO on the Republican Tax Bill today! 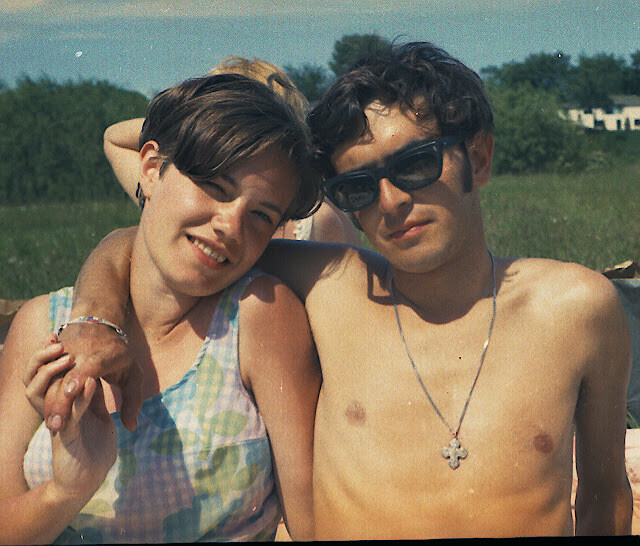 Al and Bobbie Rozas of Brookfield, Wisconsin, began their love affair with Milwaukee Area Technical College (MATC), public service, and each other back in 1969! Read more about their passion for their community, their technical college, their pension, and each other. Read Bobbie and Al’s story here! Al and Bobbie Rozas today! All together, Barbara and Bill Franks have been devoted public employees in Wisconsin for well over 70 years. We’re grateful for their service, and they are thankful for the Wisconsin Retirement System’s defined benefit pension they have earned over many years of dedicated public service. It’s time Wisconsin creates a retirement system as excellent as the WRS for everyone in our state. Click here or on the image below to see a short video about Bill and Barbara’s public service. This week the U.S. Senate is busy debating its tax reform plan. Republican leaders in the Senate plan to hold a vote on Thursday and hope to pass their tax reform bill. They would then have a conference committee with the U.S. House to work out the differences between the two chambers’ tax reform proposals. The goal of Republican leaders is to have a final bill passed and signed into law by President Trump by the end of the year. Back in October, we detailed some proposed changes to the tax treatment of individual retirement plans that were being discussed as part of the tax reform legislation. Fortunately, those potential changes were not included in the actual legislation and appear to be off the table. Unfortunately, a minor provision is included in the House tax reform bill that could harm the investments of public pension plans. Just a friendly reminder to sign up today! The Financial Fitness CHECKUP–a free, 10 minute online survey that assesses and benchmarks your overall financial situation. The Financial Fitness Academy–upon completion of the CHECKUP, you will have the opportunity to enroll in online learning tutorials with recommended courses for 12 months at the Financial Fitness Academy at no charge (a $200 value). Hundreds of courses are available that cover a wide range of topics. Access to a Financial Coach–if you want help with any of the tasks or financial topics you will have access to free financial coaching for up to 30 days. Learn more about this program and sign up by clicking here. If you have questions about the Financial Fitness Program, email [email protected] or call Tarna Hunter at 608-267-0908 or Shelly Schueller at 608-266-6611.